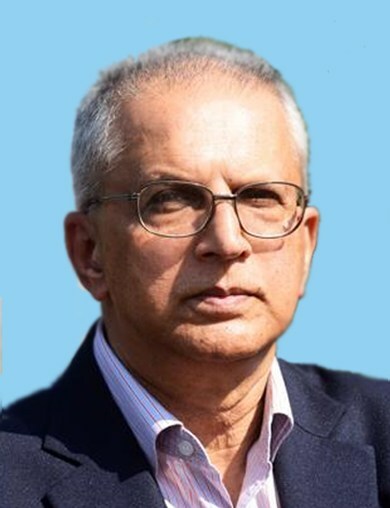 Shri Gopal K. Pillai joined Indian Administrative Service in 1972 and belongs to the Kerala cadre. He has served the Government of Kerala in various capacities including District Collector (Quilon), Special Secretary (Industries), Secretary (Health and Family Welfare) and Principal Secretary to the Chief Minister. He also held important positions in the Union Government. Between 1996 and 2001, he served as Joint Secretary (North East) in the Ministry of Home Affairs. In 2004, he joined the Ministry Commerce and Industry as Additional Secretary and was elevated to the rank of Secretary in 2006. During the tenure of this last role, over 500 Special Economic Zones, as tax exempt export enclave zones, were approved, and are expected to employ around one million people. He was appointed as Officer on Special Duty in the Ministry of Home Affairs on June 11, 2009. Shri Pillai took over as Union Home Secretary on June 30, 2009. He was also concurrently Secretary of the Department of Justice, Ministry of Law & Justice. 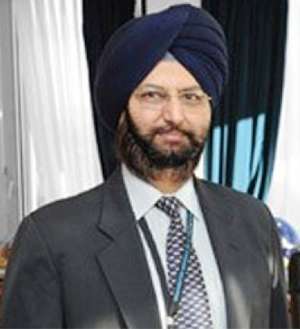 He retired on June 30, 2011 as Union Home Secretary of India. He is presently a member of the National Security Advisory Board (NSAB) and a Distinguished Fellow at the Institute for Defence Studies and Analyses. Lt. Gen. (Retd.) Dr. Prakash Menon, PVSM, AVSM, VSM is an infantry officer who retired after almost four decades of service. His extensive command operational experience has spanned service as a platoon commander on the Line of Control in Kargil, company commander on the Siachen glacier and command of a Battalion, a Brigade and a Division in counterinsurgency in Central, North and South Kashmir. He was also the Major General General Staff of the army’s Northern Command responsible for operations in J&K and the Commandant of the National Defence College, New Delhi. Although he retired in October 2011, he continued in government as the Military Adviser and Secretary to Government of India in the National Security Council Secretariat at New Delhi from 2011 to 2014. Since 2015, he is an Officer on Special Duty at the NSCS. Apart from two post graduate degrees, he has a PhD from Madras University for his thesis “Limited War and Nuclear Deterrence in the Indo-Pak context”. 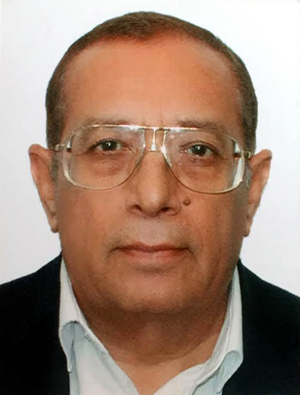 He has several published works to his credit and is also one of the co-authors of NonAlignment 2.0. He was Visiting Fellow at the Nanyang Technological Institute, Singapore in 2014. He was appointed by the Union Cabinet as a member of an expert group for the creation of the Indian National Defence University. Swashpawan Singh is Secretary to the Vice President of India since November 2013. As a member of the Indian Foreign Service, he has held a wide range of appointments in the Ministry of External Affairs, New Delhi, and in the Indian Embassies in Kabul, Washington DC, Cairo, and as Consul General in Houston. He served as Director in the Office of the Minister of External Affairs (1990-92), as Joint Secretary on deputation to the Ministry of Defence (1998-2000), and as Joint Secretary, Gulf and HAJ Division (2000-2002). 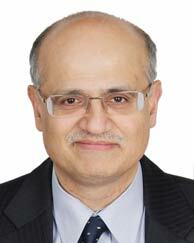 In January 2002, he was appointed as Ambassador of India to Kuwait, which position he held until 2005. As Ambassador in Kuwait, he was part of the team that negotiated the release of the Indian hostages held in Iraq. Between December 2005 and December 2008, he served as Ambassador and Permanent Representative of India to the United Nations Organisations in Geneva. He is a member of the United Services Institution of India, Institute for Defence Studies and Analyses, Indian Council of World Affairs and Association of Indian Diplomats. 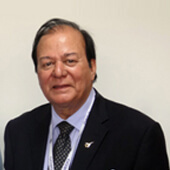 Gulshan Luthra is a well-known Indian journalist and the Editorial Director of India Strategic. 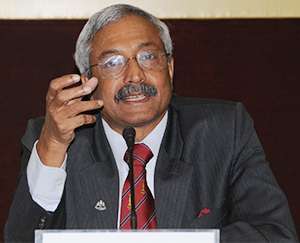 Adm. Shekhar Sinha is a former Chief of Integrated Defence Staff, and a member of the Defence Acquisition Council between 2010 to 2012. During his tenure, the Long Term Integrated Perspective Plan was compiled and approved by the Government. Adm. Sinha is a naval aviator of fighter stream and has flown over 2700 hours. He steered aviation acquisition as the Assistant Chief of Naval Staff. and later held command of the Western Fleet. Adm. Sinha retired in 2014 as the Commander in Chief of the Western Naval Command based at Mumbai, with additional responsibility of Commander in Chief Coastal Security, Western Seaboard. He holds an MSc and MPhil in Defence and Strategic Studies from the University of Madras. Professor S.D. Muni, is Professor Emeritus at Jawaharlal Nehru University (JNU). He was Visiting Research Professor with the Institute of South Asian Studies, National University of Singapore (2008-2013), was India's Special Envoy to Southeast Asian countries on UN Security Council Reforms (2005-06) and served as India's Ambassador to Laos PDR (1997-1999). In 2005, the Sri Lankan President bestowed on him 'Sri Lanka Ratna', the highest Sri Lankan civilian honour for a non-national. He superannuated from Jawaharlal Nehru University, New Delhi, India in 2006 after 33 years of service. At the University, he held the prestigious Appadorai Chair of International Relations and Area Studies. He is a member of India's University Grants Commission's Standing Committee on Area Studies, and a Visitor's nominee on the faculty selection board in Social Sciences of the Indira Gandhi National Open University, New Delhi. He was the founder Editor of Indian Foreign Affairs Journal (2005-2008), (Cambridge University Press, India) and South Asia Journal (1990-94) (Sage India). He is also affiliated with Monash Asia Institute, Melbourne, as a Fellow. 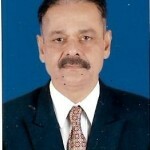 He served at the Observer Research Foundation, New Delhi as Director of Research-International Affairs (2006-2007). Prof. Professor Muni has had visiting assignments for teaching/research in the academic institutions/universities of US, UK, Sweden, Norway, Germany, Australia, Japan, and Singapore. Author and editor of about two dozen books, Professor Muni has published 125 research papers and articles in various academic journals of repute. A product of the National Defence Academy, Khadakvasla, Air Marshal VK ‘Jimmy’ Bhatia was commissioned in the Indian Air Force on May 26, 1962, winning the ‘Chief of the Air Staff Medal’ for standing first in the fighter stream of his course. He has a total of 5,500 hours of flying to his credit, accumulated on approximately 20 types of fighters including Mysteres and Hunters (1960s), MiG-21s and Su-7s (1970s), MiG-23s/MiG-27s and Jaguars (1980s), and Mirage 2000s and Su-30s of the present generation, as well as on military transport aircraft and helicopters such as An-32, Avro HS-748, Dornier 228, Chetak/Cheetah, and Mi-8/Mi-17. While serving as a young Flying Officer, he was sent to be trained with the US Air Force at Nellis Air Force Base, where he earned the coveted ‘Top Gun’ trophy among other awards while undergoing ‘Combat Crew Training Course’. He has been a Qualified Pilot Attack Instructor and an Air Force Examiner. He spent several years on flying instructional and examining duties both in India and abroad. While serving in Iraq on fighter flying instructional tenure, he conducted, single-handedly, the first ever ‘Night Strike’ course on Su-7 aircraft for Iraqi pilots. A Post Graduate of the Defence Services Staff College, Wellington and the Royal College of Defence Studies, London, UK, he also led an Army/Air Force team to attend the first ever NBC Warfare Course for officers of the Indian Armed Forces at Timoschenko Academy, Moscow. During his more than 40 years of commissioned service, Air Marshal Bhatia held a multitude of command and staff appointments at all levels of the IAF. He has had the unique distinction of being the Commander-in-Chief of three operational commands – the Central, South-Western and Western Air Commands. Air Marshal Bhatia was awarded the Vir Chakra twice, for striking deep into enemy territory during the wars of 1965 and 1971. He is also a recipient of the PVSM and AVSM Presidential awards for distinguished services of the highest order. Since superannuation, Air Marshal Bhatia has remained active as an analyst of national security and military/civil aviation. He is a ‘Distinguished Fellow’ at the Centre for Air Power Studies, and a member of the Executive Council of the United Service Institution of India. Shri Vijay Gokhale assumed his responsibilities as Foreign Secretary of India on January 29, 2018. He joined the Indian Foreign Service in 1981. His previous diplomatic assignments include postings in Hong Kong, Hanoi, Beijing and New York. He has also served as Deputy Secretary (Finance), Director (China & East Asia) and Joint Secretary (East Asia) during his stints at the Headquarters of the Ministry of External Affairs. He was High Commissioner of India to Malaysia from January 2010 to October 2013, Ambassador of India to the Federal Republic of Germany from October 2013 to January 2016, and Ambassador of India to the People’s Republic of China from January 2016 to October 2017. He served as Secretary (ER) from October 2017 to January 2018. 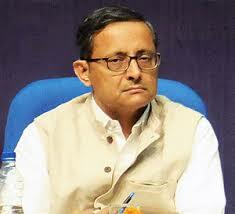 Shri Sanjay Mitra is Defence Secretary, Government of India. 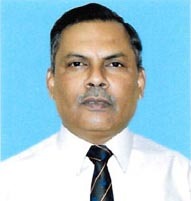 Belonging to the 1982 batch of IAS, West Bengal cadre, Shri Mitra is a Post-Graduate in Physics and Economics. He also did his Mason Fellowship at the John F Kennedy School of Government, Harvard University in 1995 – 96. He was earlier Secretary, Ministry of Road Transport & Highways in the Government of India and had also worked as Chief Secretary of West Bengal.